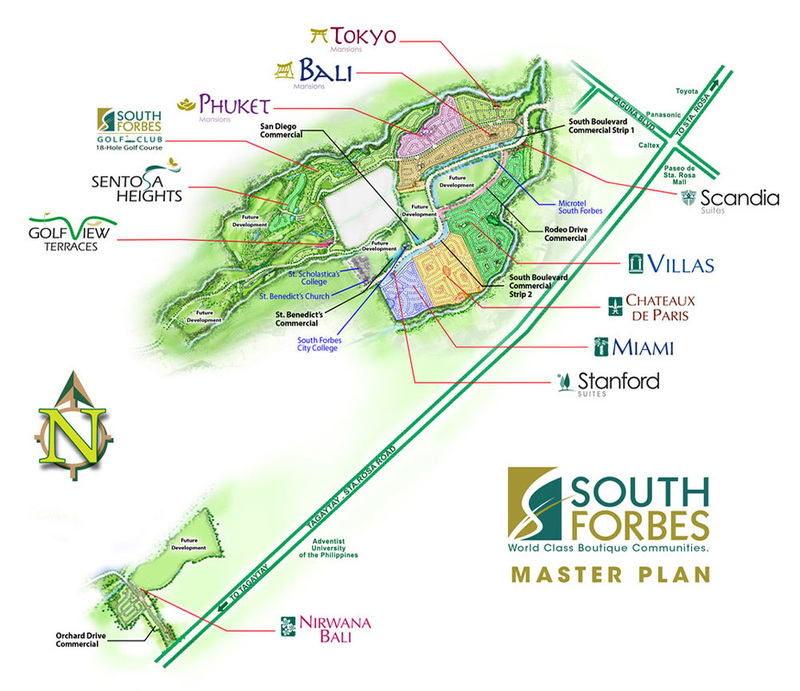 South Forbes Golf City is the Philippines fastest-selling golf residential community. Since it's introduction in 2004, the world-class designs of this fully integrated golf resort city have attracted a huge following from homebuyers and property investors. Strategically located in south of Metro Manila, South Forbes enjoys proximity to techno parks, top schools, and commercial centers. South Forbes Golf City offers you the best thematic designs the world has to offer, only at the choice residential resort address in booming Sta. Rosa, Laguna. The Philippine Builder Cathay Land Inc.
One of the fastest rising real estate firms in the country today, Cathay Land has embarked on its biggest, most ambitious project yet to date: the 250-hectare world-class, integrated golf resort city called South Forbes Golf City in Metro Sta. Rosa. Cathay Land draws synergies from its affiliates. Top steel manufacturers Cathay Pacific Steel Corporation and Cathay Metal Corporation, leading ceramic tile manufacturer Eurotiles Industrial Corporation, and top retailers Federal Hardware, Federal Design Expo, MFI Kitchen, Ceramic Plaza, and PC Express all contribute quality components to Cathay Land's prestige projects. To design and implement master planned projects that carefully and seamlessly integrate lifestyle, shopping, career, sports, and learning options that ultimately help improve the quality of life of our residents. To be recognized as the prestige developer of innovative lifestyle projects in the Calabarzon region.